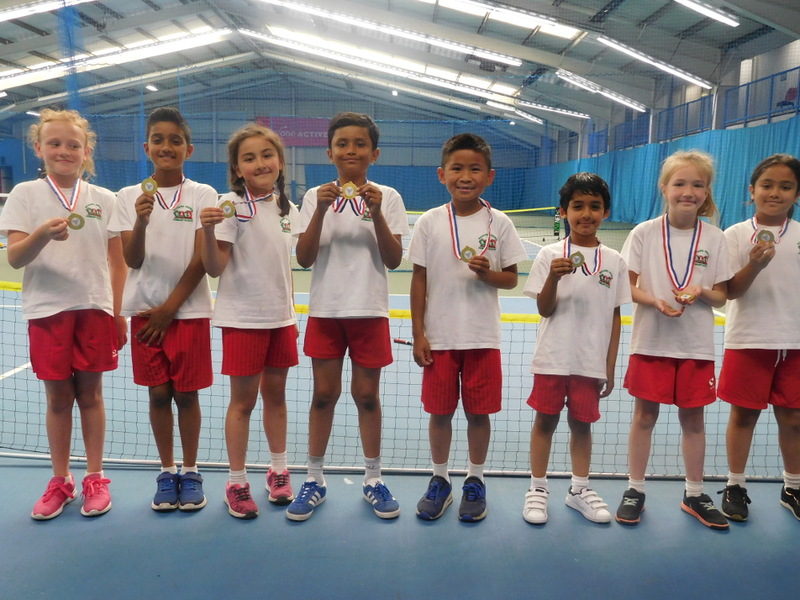 The children receive their tennis award. 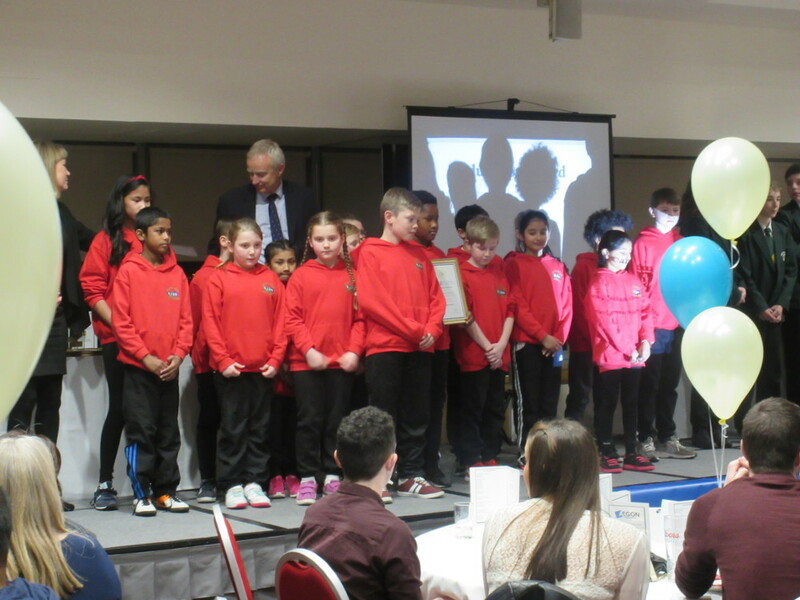 Richard Avenue Primary School were nominated for the education setting of the year award at the Durham and Cleveland Annual Tennis Awards. 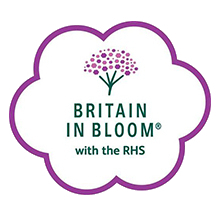 There were 2 finalists in this category and Richard Avenue was voted the winning school. 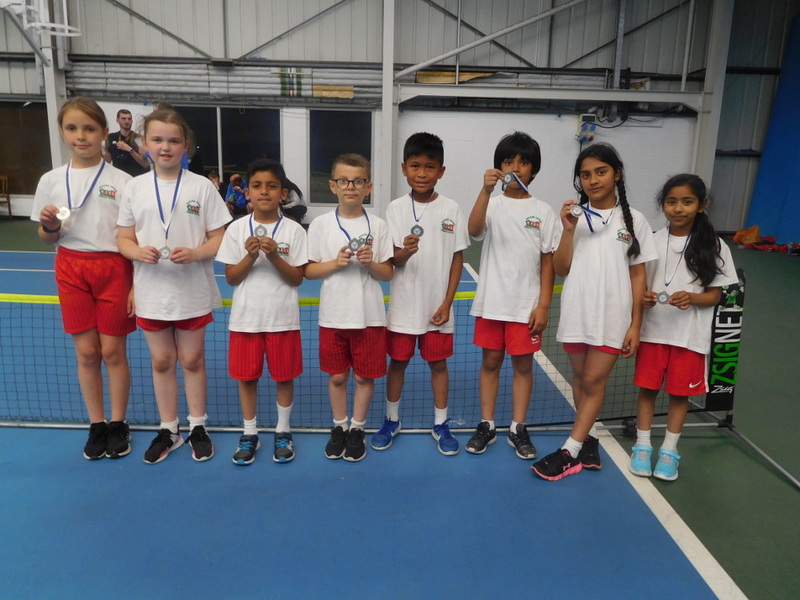 Mr Spoors, Mrs Hayden and Mrs Todd, and 18 pupils who have represented the school in tennis tournaments went along to the award ceremony to collect the certificate and the trophy which will be displayed in school for everyone to see. 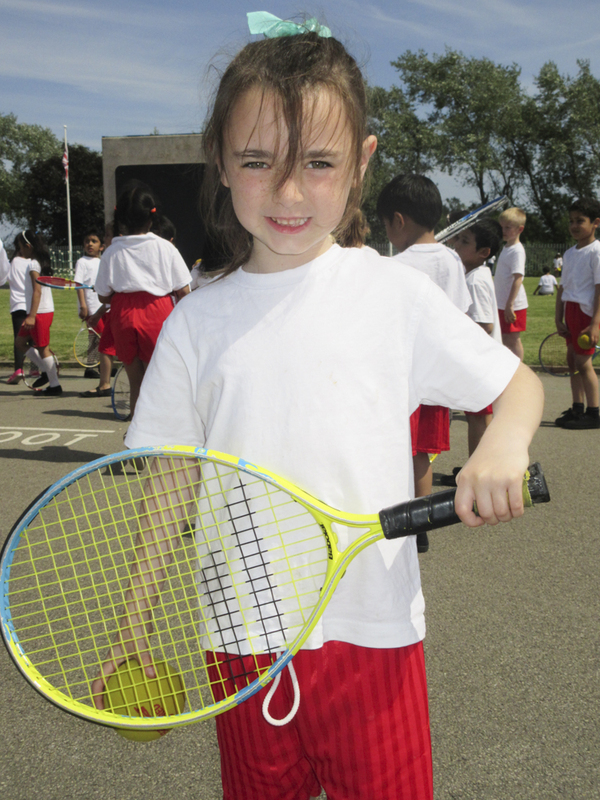 One of our pupils learning to play tennis. 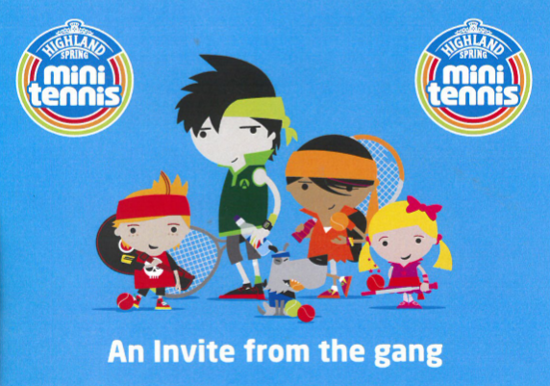 Today the children had a visitor from the Silksworth Tennis Centre who give them a basic tennis taster. 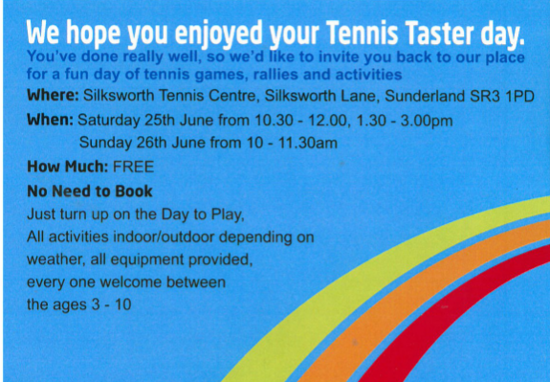 To coincide with the they will be holding free tennis training days on the 25th and 26th of June. 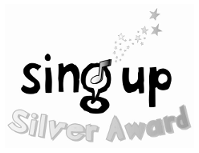 You can view the details below. 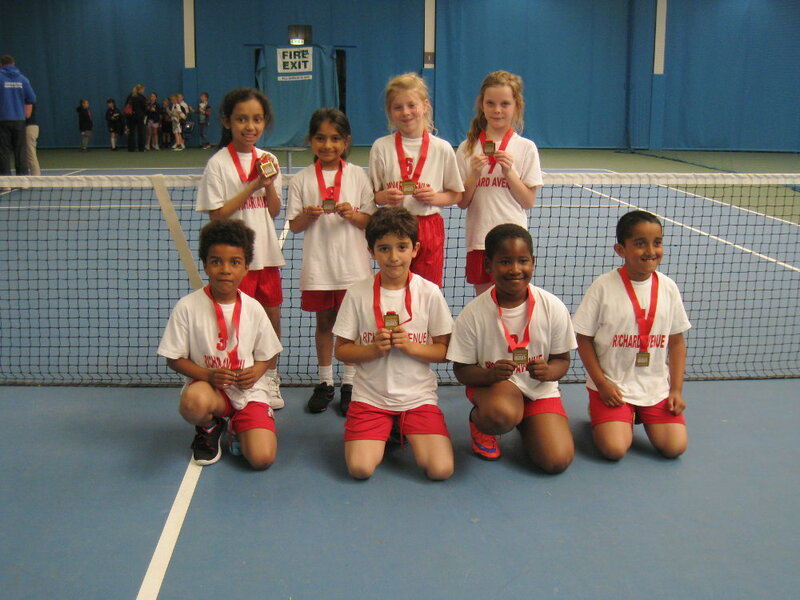 The tennis squad with the Davis Cup. 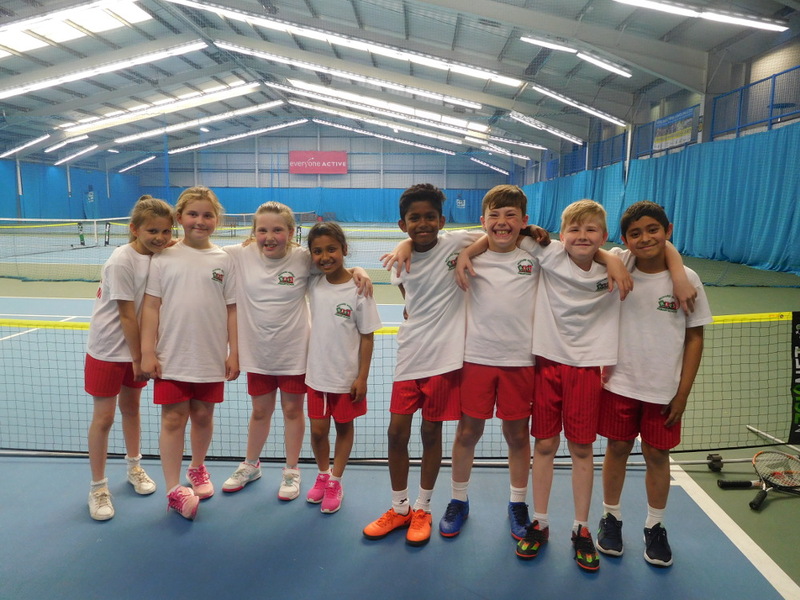 The Tennis club went to Sunderland Tennis Centre to celebrate the success of Great Britain’s Davis Cup team. 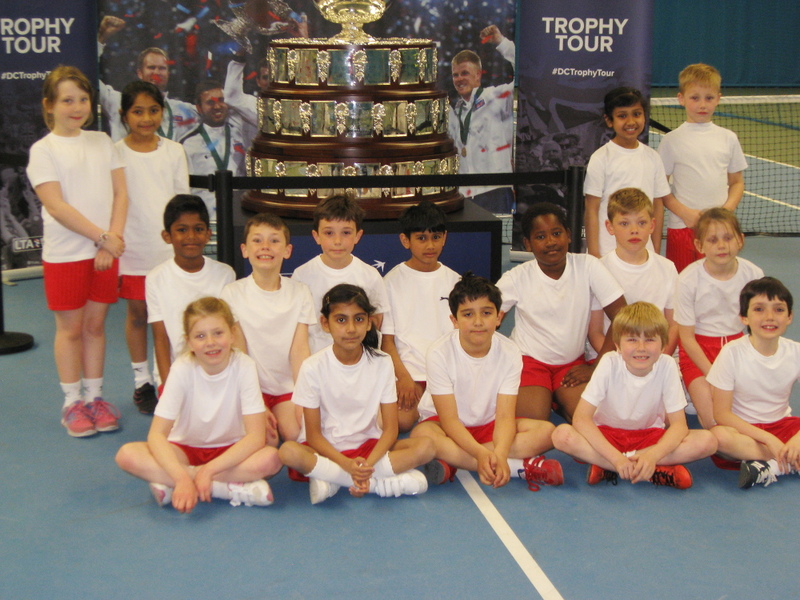 The GB team won the tournament for the first time in 79 years and the children were lucky enough to see the actual Davis Cup. 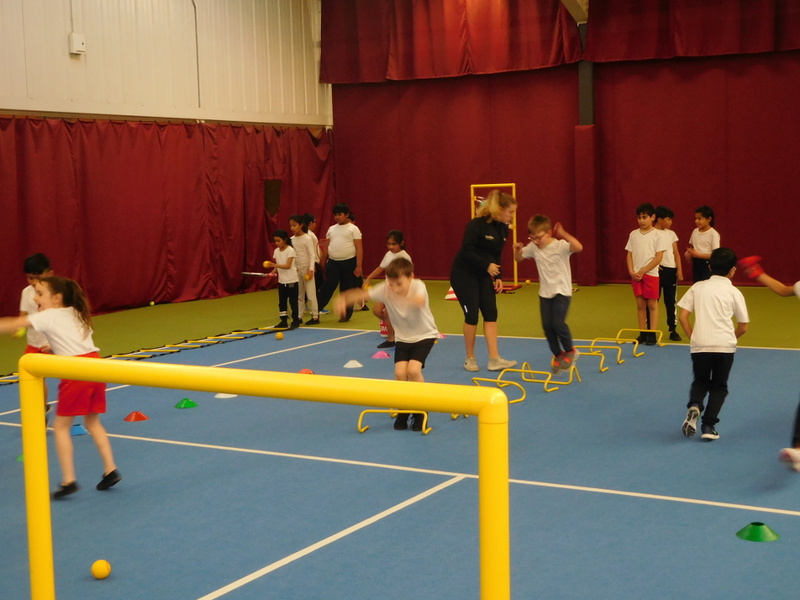 While there the children played some tennis games and were taught some new skills by the coaches. 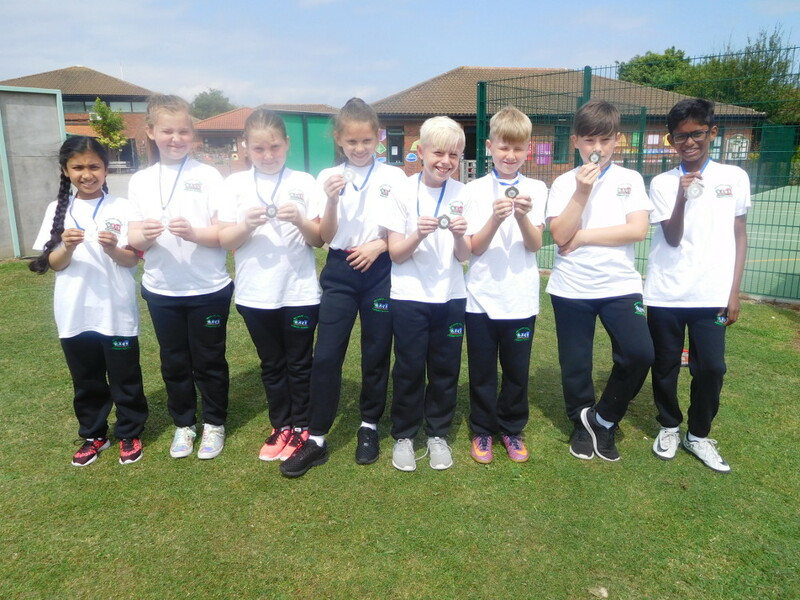 Our Year 3 tennis champs. 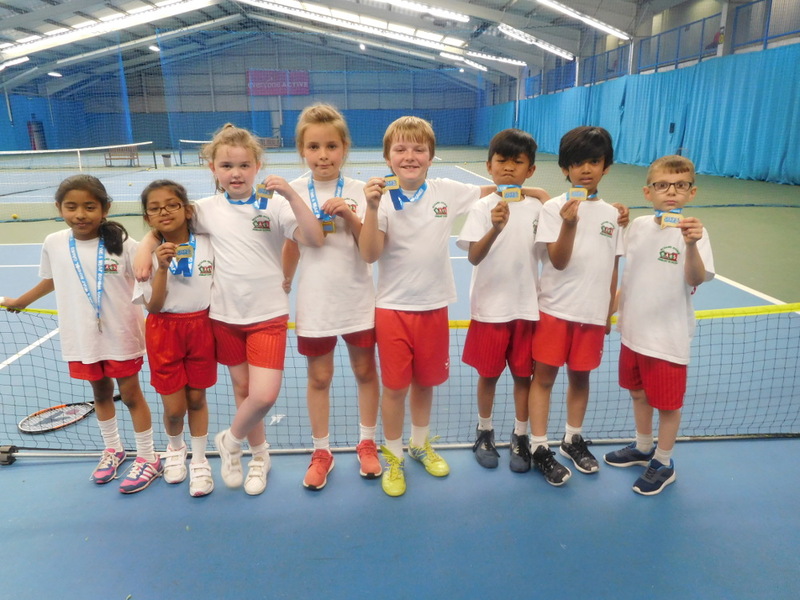 Congratulations to the Year 3 tennis team who won the Year 3 sunderland mini tennis finals. 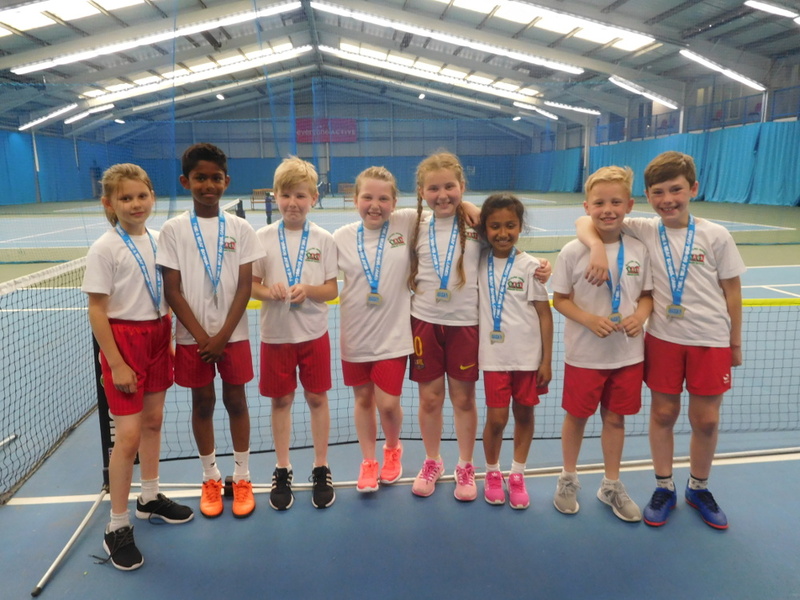 We are officially the tennis champions of Sunderland. 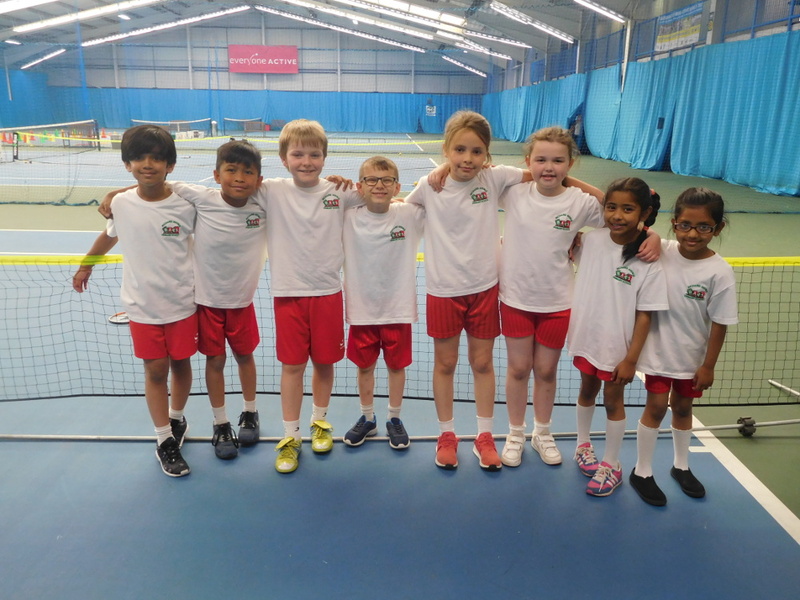 They will now play in the Tyne and Wear final against the best schools from the whole of the Tyne and Wear. Good Luck.